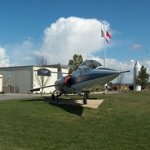 The Camp Roberts Historical Museum began in the early 1980s, when Master Sergeant Albert Davis, a National Guardsman and civilian worker at Camp Roberts began researching the history of the Camp. An avid military historian, MSG Davis began collecting military items, many with provenance to the Camp. He eventually received permission to set up exhibits in the World War era Camp Roberts Post Office building. As military tanks and other tracked vehicles were released from the Army inventory, he began having select ones of historical significance transferred into the collection, and eventually opened it up to soldiers and to the general public on a part-time basis. Eventually, both the collection and the demand grew to the extent that the Camp Commander assigned the Museum use of Building 114, originally built by the Red Cross in WWII as their headquarters, and later used as the Camp Commander's home. Have your Passport 2 History book stamped at the Camp Roberts Historical Museum and receive a coupon for: No Coupon @ This Time! 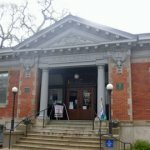 A men's group, the Paso Robles Improvement Club, initiated the first library in 1901, and the ladies auxiliary persuaded the city to establish a free public library in 1903. A Carnegie grant of $10,000 was received in 1906 for the building; the park, a full city block between 11th and 12th and Spring and Pine streets, was selected as the site. William H. Weeks, California's most prolific Carnegie architect, designed the building and R.O. Summers was the contractor. A small addition to the rear was built in 1939 by the WPA. 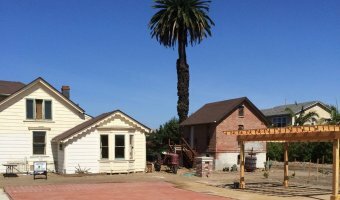 In 1998 the building was rededicated for its new use by the El Paso de Robles Area Historical Society for local history and genealogy research and displays. Have your Passport 2 History book stamped at the Carnegie Library and receive a coupon for: No Coupon @ This Time! 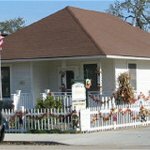 The Colony Museum: This authentic 1919 Colony home depicts homes built during the colony period of 1914 to 1924. 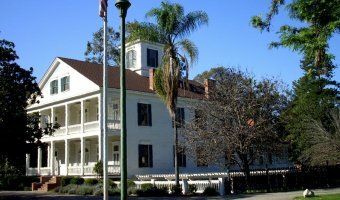 It now houses a portion of the Society's collection that chronicles Atascadero's growth from Edward Gardner Lewis' original concept, through its days as Tent City, for those who were moving here from all over the country, to the dissolution of the Colony Corporation in 1924. The museum is ideally located adjacent to the historic city hall. The Historic City Hall: This classic building, Italian Renaissance, was built as headquarters for Atascadero colony. The cornerstone was laid in 1914. The building was occupied in 1918 by E.G. Lewis, visionary founder of Atascadero. The building and the Sunken Gardens are nestled against Atascadero Creek and bordered by the Hattie Prather Rose Garden. 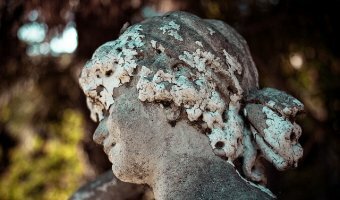 The grounds are popular with day trippers, walking tours, and the house can be rented for events. In 1837, the Mexican government awarded Rancho Nipomo, a land grant of almost 40,000 acres, to William Goodwin Dana, a Yankee sea captain, and his wife Maria Josefa Carrillo of Santa Barbara. They began building the 13 room adobe home, gradually adding to it as their family expanded to include 21 children, 13 of whom reached adulthood. Finally completed in 1851, the adobe was the focal point of a large and virtually self-sustaining ranch complex. 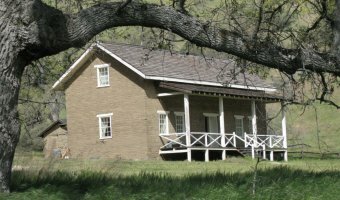 The Dana Adobe known as the one of only four four official exchange points along the state's first american mail route. And one of two polling places in San Luis Obispo County voting on the issue of statehood. From 1850-1890’s all stagecoaches travelling north and south along this route stopped at the Rancho’s adobe barn. 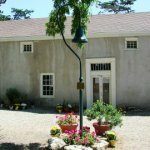 Situated on 130 acres, the Dana Adobe is one of the few homes from the Rancho Era that still maintains a view shed similar in appearance to when the land was settled in the 1830's. From jeeps, side arms, early year aircraft, fighter jets recently retired from active duty, to antique ambulances, bombardier sites to modern missiles, from one of the earliest pilot's licenses issued by the FAA to unique personal items carried into combat during the previous century, from artifacts of airplanes which made aviation history, to piles of parts destined to end up as pieces of a fully restored vintage aircraft, you will find a unique collection of aircraft and artifacts. The Woodland Auto Display houses a collection of Sprint cars, Midgets, hot rods, Indy cars, NASCAR cars, street classics, motorcycles and an extensive array of memorabilia. Mission San Miguel, founded in 1797 by Father Fermin de Lasuen, was one of the last of California's missions to be secularized. It was reactivated in 1878 after nearly three decades of abandonment. Mission San Miguel, named for St. Michael the Archangel, is known for its well-preserved wall murals. Of the original 21 Spanish missions of "Alta California," San Miguel has the best examples of Spanish wall paintings. The paintings were executed by Esteban Munras of Monterey, with the help of Indians living at the misssion. The mission complex consists of an impressive open court, surrounded by a colonnaded arcade of arches of varying shapes and sizes. 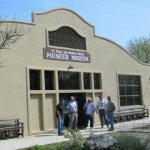 The Paso Robles Pioneer Museum, established in 1971, is a community museum dedicated to preserving the special heritage of the area. Displays include artifacts from early Indian settlements, items from early-day homes and businesses, a collection of Paderewski memorabilia, print shop equipment, barbed-wire collection, carriages, wagons, farm equipment and more. A local one-room schoolhouse, built in 1886, was moved onto the grounds in 2004. Paso Robles' original two-cell brick jail was reproduced in 2010. The museum is operated and maintained by dedicated volunteers who seek to "preserve yesterday and today for tomorrow." 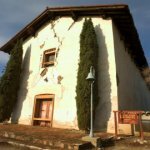 The century-old inn and stage stop is located on the old mission trail between San Francisco and Los Angeles and is found eight miles north of Paso Robles and adjacent to the San Miguel Mission. 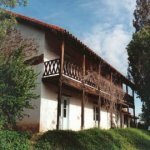 Preserved buildings, beautifully landscaped grounds, picnic sites, a gift shop and restrooms are found at the site. 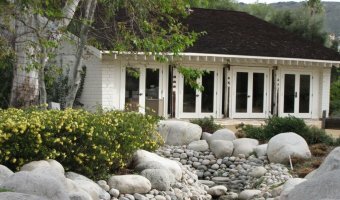 Have your Passport 2 History book stamped at the Rios - Caledonia Adobe and receive a coupon for: No Coupon @ This Time. 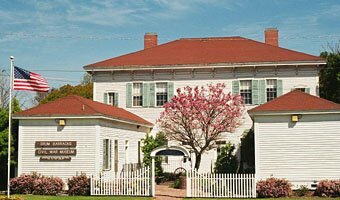 The Templeton Historical Museum Society was incorporated as a nonprofit organization in 1989, the realization of a dream of nearly 25 years earlier. 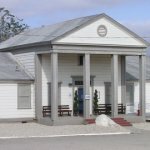 The Horstman house, built in the 1920s by Albert Horstman, a prominent Templeton businessman, was donated to the society in 1994, and it serves as the museum where local memorabilia and photographs are displayed. Templeton's original railroad depot warehouse (behind the house) contains a 1926 Model T Ford car in original condition, an antique carriage and other items too large to put into the house. Have your Passport 2 History book stamped at the Templeton Museum and receive a coupon for: No Coupon @ This Time.